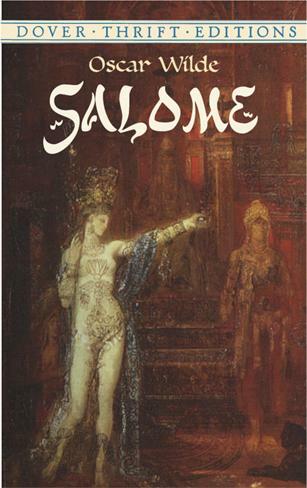 Outraged by the sexual perversity of this one-act tragedy, Great Britain's Lord Chamberlain banned Salomé from the national stage. Symbolist poets and writers — Stéphane Mallarmé and Maurice Maeterlinck among them — defended the play's literary brilliance. Beyond its notoriety, the drama's haunting poetic imagery, biblical cadences, and febrile atmosphere have earned it a reputation as a masterpiece of the Aesthetic movement of fin de siècle England.Written originally in French in 1892, this sinister tale of a woman scorned and her vengeance was translated into English by Lord Alfred Douglas. The play inspired some of Aubrey Beardsley's finest illustrations, and an abridged version served as the text for Strauss' renowned opera of the same name. This volume reprints the complete text of the first English edition, published in 1894, and also includes "A Note on Salomé" by Robert Ross, Wilde's lifelong friend and literary executor. Students, lovers of literature and drama, and admirers of Oscar Wilde and his remarkable literary gifts will rejoice in this inexpensive edition.